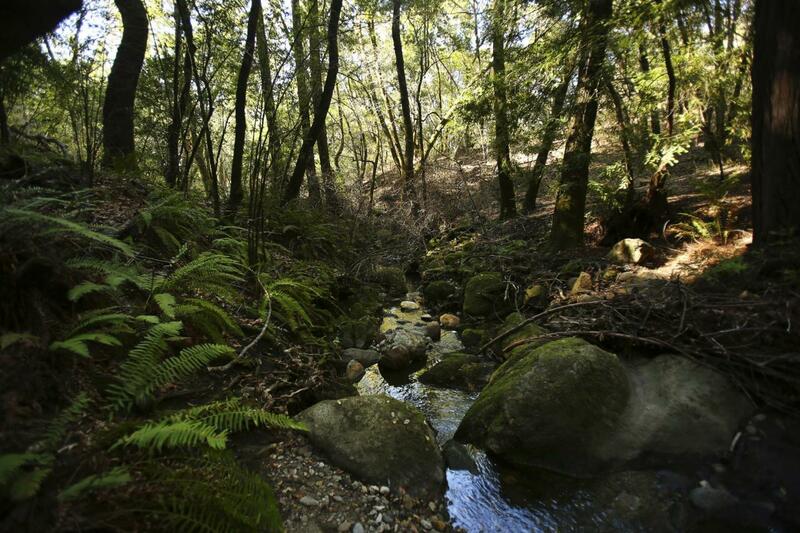 For the hiker who wants to work, but not wait too long for that edible reward tucked into the rucksack, make a trek to Sonoma’s Bartholomew Park. Here you will find several miles of manageable trails that are invigorating but not excruciating, and offer everything a casual hiker packing a picnic craves, from shady glades to upland meadows to a trickling creek and finally, the “buena vista” (good view) that on a clear day extends to the Carneros region and beyond to San Francisco Bay. And because it is a private park that generally flies under the radar, you’re unlikely to run into heavy foot traffic on your way up to Benicia’s Lake, a pastoral pond that looks like it was lifted out of a 19th-century English landscape. You might want to unpack a portable feast, maybe a small volume of Wordsworth if you’re romantically inclined, and a stay a good long while. 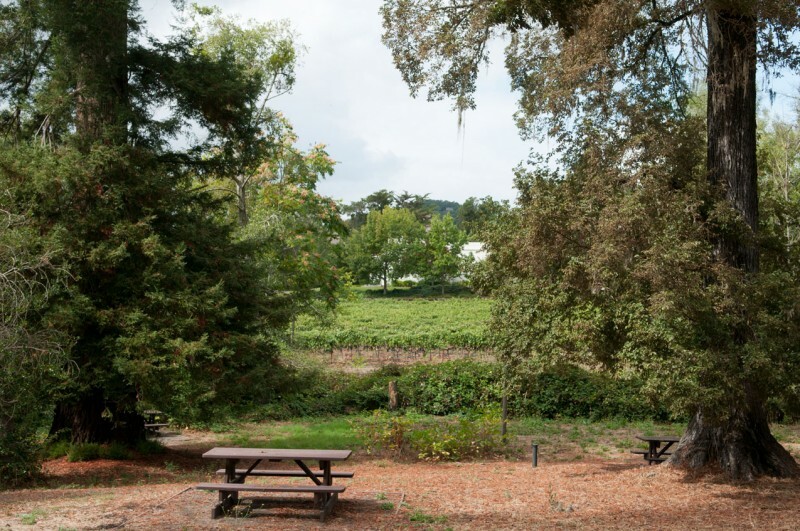 The virtue of what locals call “Bart Park” is that it is somewhat of a secret, even 25 years after it was created by the late Frank and Antonia Bartholomew to preserve one of the most important sites in the history of the California wine industry. It was here that flamboyant Hungarian entrepreneur Agoston Haraszthy purchased a small vineyard he called Buena Vista, in 1857. He built the first gravity-flow winery in the state and was an innovator and visionary, evangelizing for the virtues of California wine and founding the Buena Vista Vinicultural Society, dedicated to promoting quality winemaking. He was eventually forced out by his investors and met a murky death in 1869, when he reportedly fell off a tree branch into an alligator-infested stream in Nicaragua, where he had gone in pursuit of new ventures. 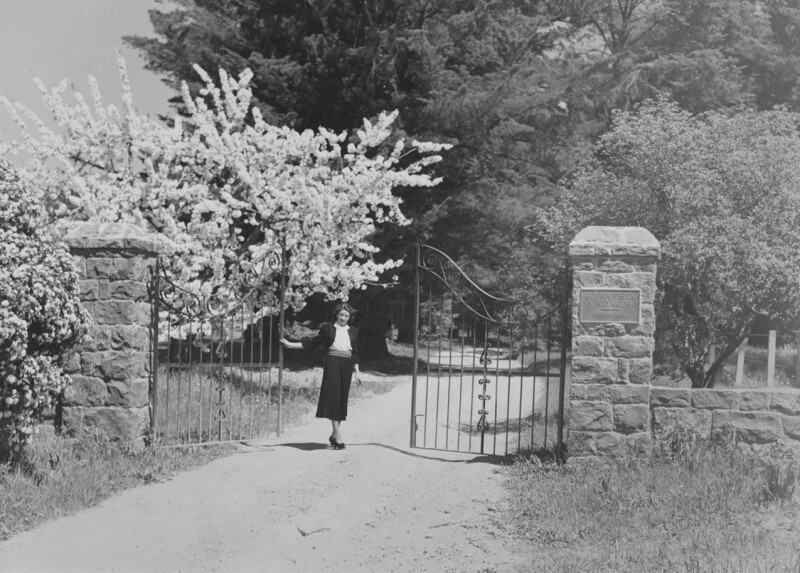 The land was later purchased by Robert and Kate Johnson, who built a spectacular mansion in 1886 that came to be dubbed “The Castle” and which gave the road to the park — Castle Road — its name. The state eventually took over the estate with plans for turning the house into a home for “wayward girls.” But the place burned down. The site of the mansion is now marked by a white gazebo within a formal, English-park-like setting ringed by trees, one of many photogenic spots to explore before or after your hike up the steep hillside. Thank veteran newsman Frank Bartholomew, the retired chief of United Press International, for rescuing Buena Vista. He bought the 614-acre site at auction from the state in 1943 after reading a legal notice in a San Francisco newspaper. He told his wife, Toni, by telegram from Guadalcanal, where he was covering the war, to “draw out whatever we have in the bank” and make a bid. The couple only later learned of the property’s storied past. As the wine business sputtered back to life in the wake of Prohibition and the Great Depression, the couple set about restoring the winery and vineyards. Picnic table at Bartholomew Park. They sold Buena Vista winery in 1966, but it remains as a great complement to the 400 acres that now comprise Bartholomew Park. Along the trail, you’ll pass the old stone Press House, built by Haraszthy and visible through the fence. 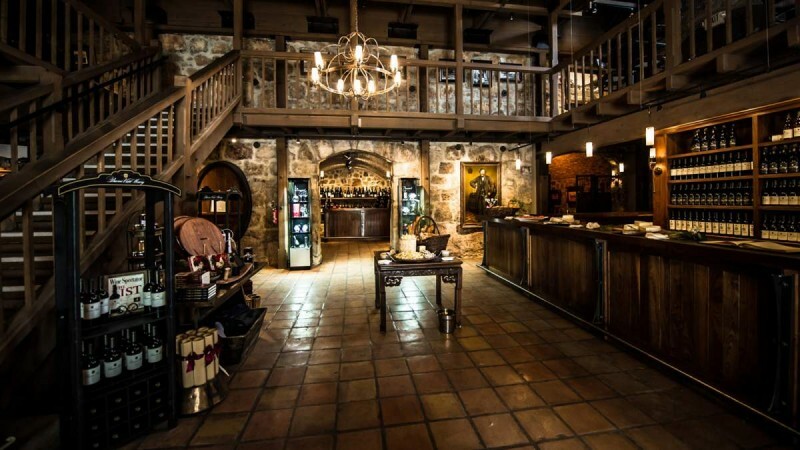 Tastefully restored by Boisset Family Estates, which acquired Buena Vista in 2011, you might want to stop there before you hit the park to pick up a bottle of wine for your picnic. You can also buy wine in the park. 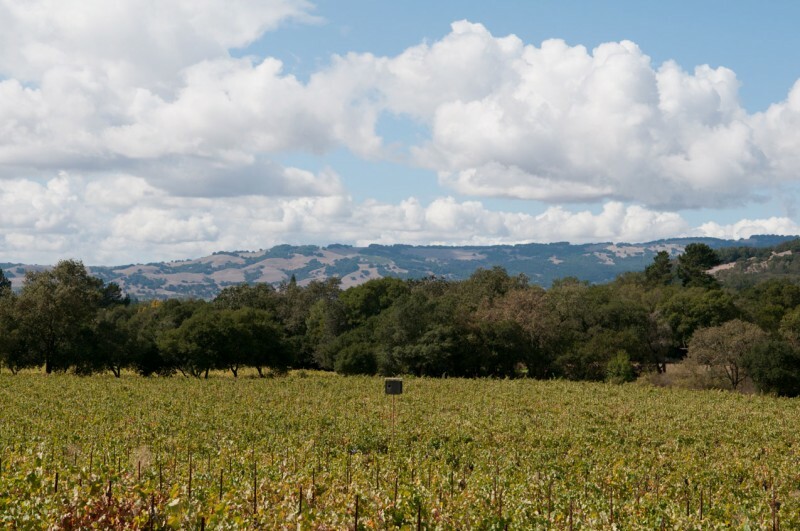 Bartholomew Park Winery produces small lots of single-vineyard wines from grapes grown in what can rightfully be called the cradle of the California wine industry. The winery also has a nice little museum that details the history of the land and grapegrowing in Sonoma Valley. 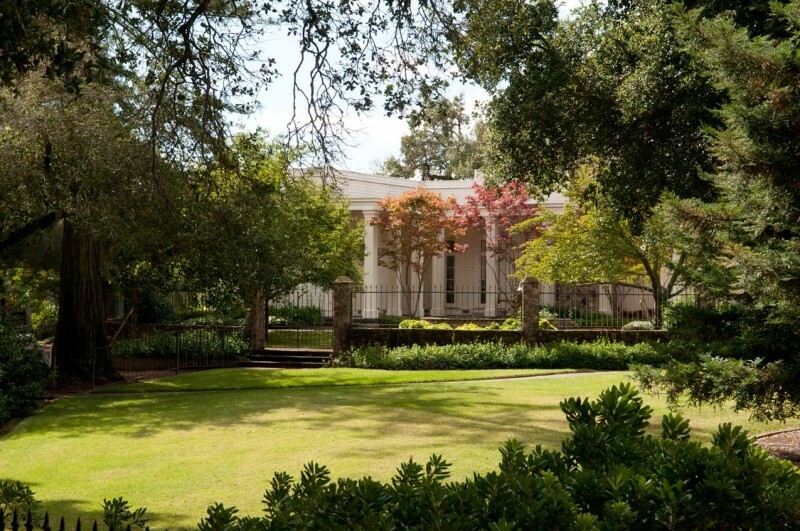 The jewel of the park is the grand Palladian Villa, which sits on a knoll overlooking the original Haraszthy vineyard. Antonia Bartholomew had it built in memory of her late husband in 1988, two years before her own death. A replica of the original villa built by Haraszthy in 1861, it represents a remarkable feat of detective work, as not even a trace of the original foundation remained. It is open for tours on weekends and can easily be done in a couple of hours, even leaving time for an unhurried picnic. 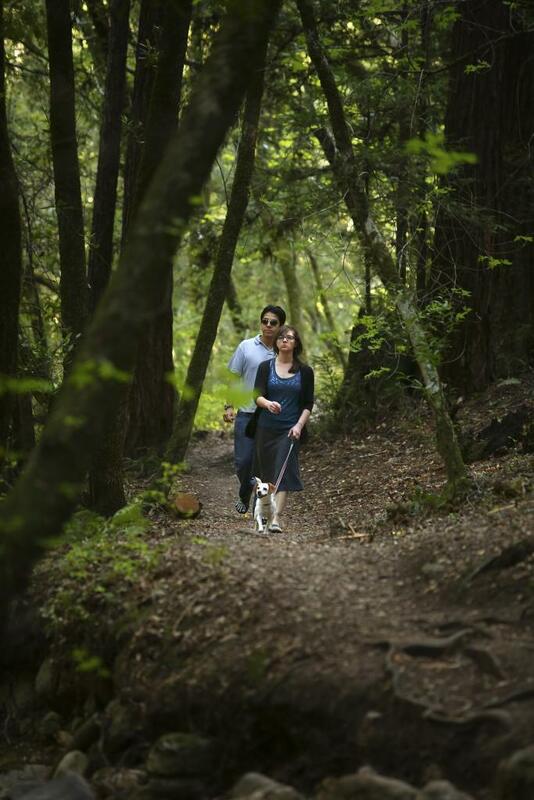 There are three trails from which to choose, all leading to Benicia’s Lake. Since you’ll be more laden on the way up, start with the shorter Grape Stomp trail through the south gate. 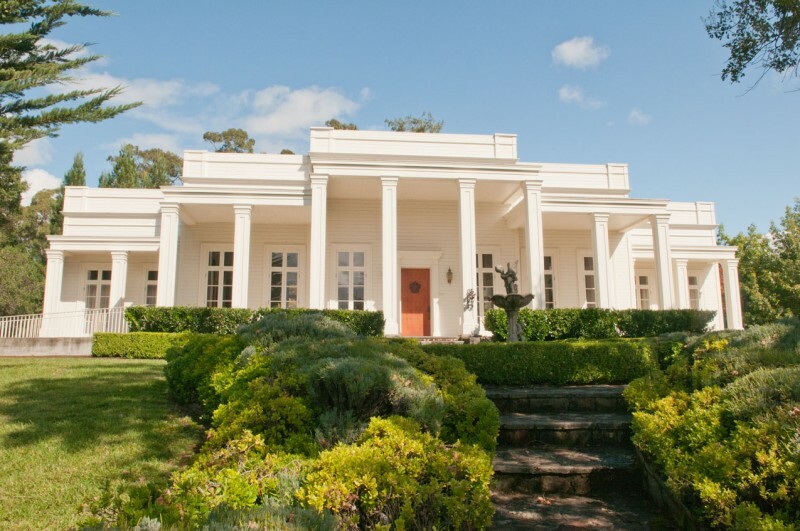 This will lead you past the vineyards, now given over to Sauvignon Blanc, Syrah and Zinfandel, and a pretty duck pond. The trail climbs through oak forests punctuated by madrone, with its striking, smooth red bark. The path crosses Arroyo Seco Creek, which drains down from the lake in winter. One can easily make the mile-long ascent (400 feet) in 30 minutes. The lake is flanked by trees and offers a shady refuge for a picnic on a sunny day, with branches bending low over the banks. And there are plenty of level spots on shore to spread out a blanket. Listen for bullfrogs and keep your eyes out for tadpoles. This pond, named for Gen. Mariano Vallejo’s wife, is a haven for them. 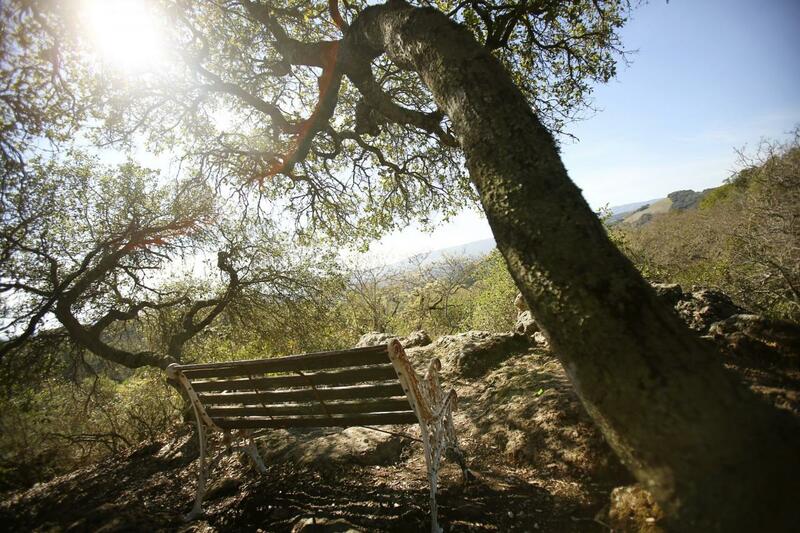 If you prefer a “table” with a view, continue on, picking up the “You-Walk Miwok Trail” and heading down to Szeptaj Lookout Point for vistas of the mountains between Sonoma and Petaluma. A boulder wall offers a feeling of privacy. You can either dip into your pack while seated on a bench under the trees, or find a nearby spot in the sun for your picnic. It’s a steep, 1.2-mile descent from the lake along the Miwok Trail. If you’re pressed for time or are a less seasoned hiker, choose the quicker Angel’s Flight trail, which is only three-quarters of a mile down. Because the hike is relatively short, you won’t have to worry about your gourmet picnic goods spoiling. Just be sure to pack light, because the hike is steep and you’ll have to bring your trash back with you. There are also choice picnic tables back on the valley floor, in the gardens, by the villa, outside the winery and around the gazebo. Pop open a bottle of Bartholomew Park wine and offer a toast to Count Haraszthy and the Bartholomews, who left the land as a gift to the public to enjoy for free. You won’t even pay for parking. Groups of more than eight people need to make a reservation, which helps maintain the hushed calm of an outdoor memorial to the history of California wine. 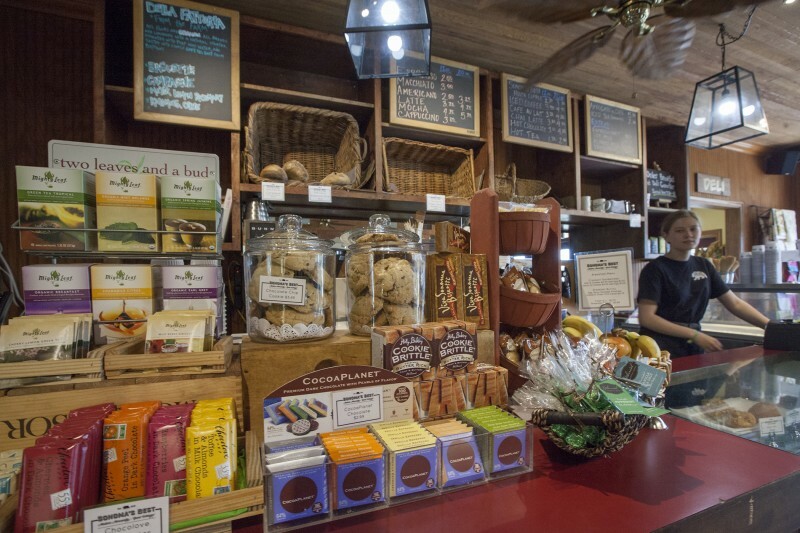 Serious hikers want no-fuss provisions for fortification. But for a picnic hike where the destination is a place to dine, you can’t just settle for trail mix and PowerBars. For a relaxed day hike in Bartholomew Park, spoil yourself with upscale food befitting the birthplace of California viticulture. 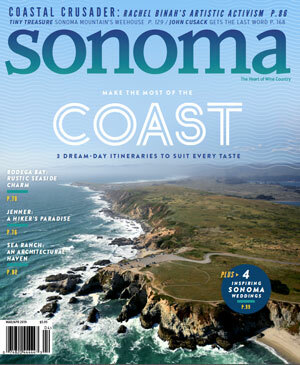 Sonoma’s Best market and deli is a great stop for a full array of picnic provisions. It’s conveniently located at East Napa Street near Old Winery Road, on the way to Bartholomew Park and Buena Vista Winery. Offerings include ready-made meat loaf, pastrami and chicken sandwiches to go, panini big enough to share, and fresh-packed portable salads. 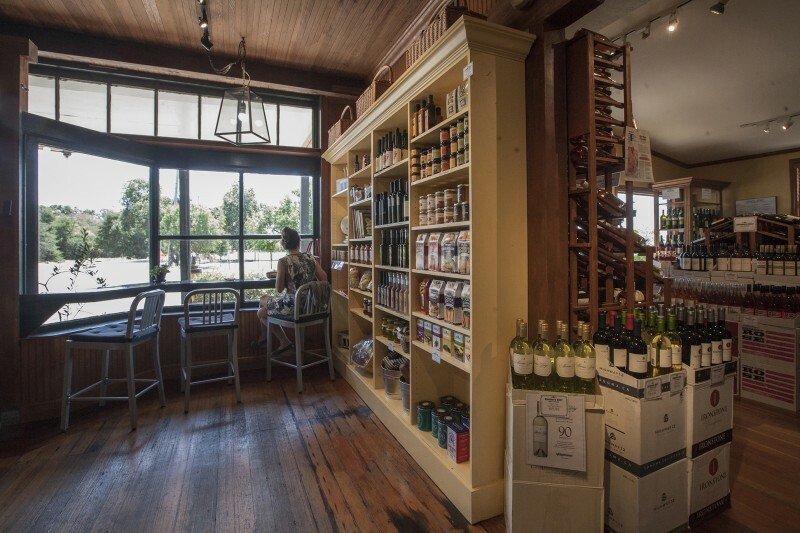 You can also get fixings to make your own sandwich, from Della Fattoria bread, sliced dry salami and prosciutto, and even Sonoma Brinery’s Outrageous Bread & Butter Pickles. If you need the accoutrements to polish your picnic scene, pick up an old-fashioned oilcloth tablecloth and plastic long-stemmed wineglasses here. For a simple, no-mess dessert, tuck into your backpack a package of Tortles, tiny confections of roasted almonds, butter cream caramel, dark chocolate and sea salt. 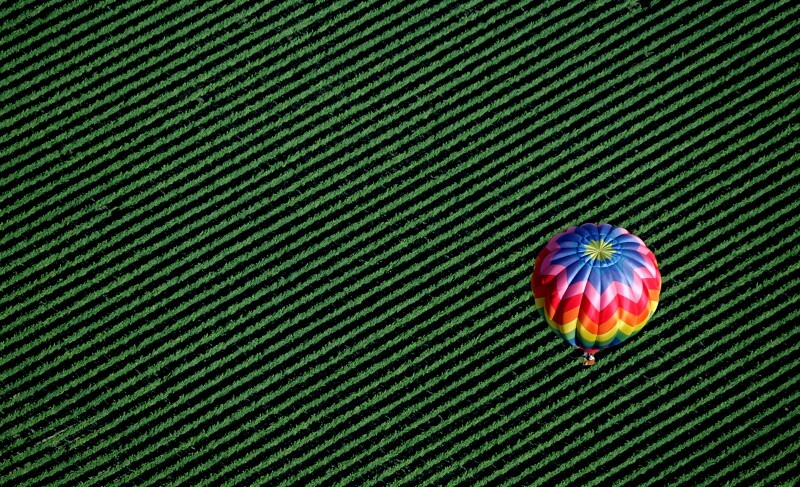 The Sonoma County landscape looks even more stunning from above.